October 2012 is here and guess what it comes with a ton of big upcoming games, leaving gamers across the globe in dilemma which one to buy and which one to skip. So in-order to help you out, here is the list of EIGHT games gamers across the globe MUST BUY in October 2012. 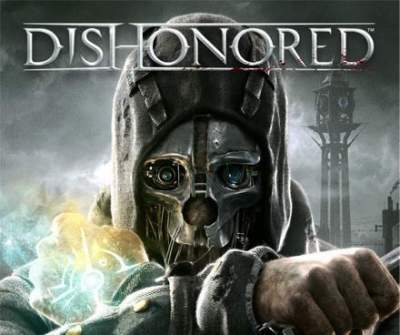 Dishonored is set in Dunwall, an industrial whaling city where strange steampunk- inspired technology and otherworldly forces coexist in the shadows. You are the once-trusted bodyguard of the beloved Empress. Framed for her murder, you become an infamous assassin, known only by the disturbing mask that has become your calling card. In a time of uncertainty, when the city is besieged by plague and ruled by a corrupt government armed with industrial technologies, dark forces conspire to bestow upon you abilities beyond those of any common man – but at what cost? The truth behind your betrayal is as murky as the waters surrounding the city, and the life you once had is gone forever. In 2011, Battlefield 3 gave Call of Duty: Modern Warfare a run for its money, and now same thing is expected with Medal of Honor: Warfighter against Call of Duty: Black Ops II. Medal of Honor Warfighter is the sequel to the hit shooter set in realistic Middle East warfare campaigns. The only rule in Need for Speed Most Wanted is to race without rules. There's a start and a finish to every race -- but how the player races, where and when they choose to compete, and the skills they choose to compete with -- are all up to the player. It isn't enough to be the Most Wanted amongst rivals and cops. Now players will fight for ultimate bragging rights amongst their friends thanks to Autolog. In Need for Speed Most Wanted, everything players do will earn Speed Points that will take them up the Most Wanted list, from competing for best race times and battling cops in pursuits for the highest scores, to catching the most air off a huge ramp and more -- if there’s something to do, there's someone to beat. Little King's Story was launched way back in 2009 for Wii. It tasted success immediately, and was termed as "Wii's hidden gems" by crticis and fans. Now its sequel "New Little King's Story" is all set to arrive on PS VITA. Hoping that New Little King's Story will repeat the success of its predecessor on PS VITA. So this is mine WildCard pick for October 2012.